Telecommunication industry is one of key players in IoT. The availability of rich consumers data is a significant competitive advantage that allows to develop new revenue channels apart from core business which drives telco operators to make significant investments in data monetization. 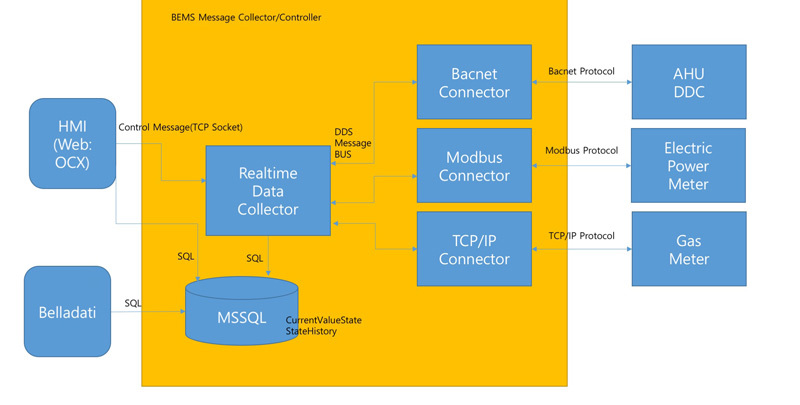 generated by built-in smart devices.. BellaDati IoT Analytical Framework was used to supplement Integrated Control Center and provided energy consumption oriented monitoring and prediction as the part of Smart Building Control system. Not all customers are the same, dividing customers in segments will improve your business efficiency, identify actionable insights for customers that are similar from business point of view. BellaDati Advanced Analytics/ Platform will help you to segment customers to set up efficient marketing strategy to define for each customer segment to bundle the offer, at the right price, on the right place, with the right message. This message will be a function of what the customer needs but also their social demographics. You can take as many variables as long as the data is available and is relevant. By increasing your understanding about what your customers are buying, you can also maximize opportunities for cross-selling and up-selling and to offer the same products or services for cross-selling and up-selling to customers from the same segment (cluster). Customer segmentation can help to built better customer service. Changes in technology and consumer demand are enabling mobile operators to learn more about their customers than has previously been possible. The increasing data richness and availability as well as a need to develop new revenue channels apart from core business drive telco operators to make significant investments in data monetization. 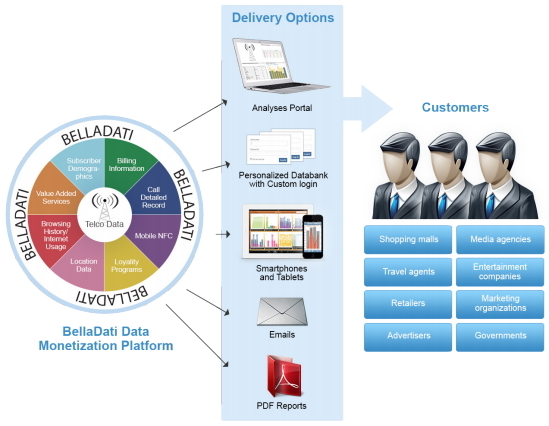 BellaDati enables telco operators to anonymize data and sell digital customer insights to B2B clients as a ready-made solution via analyses portal, from multicloud, custom reporting applications, smart phones, tablets or email reports. Consumer location data helps to improve advertising, proximity marketing, location planning, and more to retail, hospitality and service business. They get access to anonymized mobile data that shows how many consumers pass through a chosen location each hour and where they come from, they get detailed information about their demographic characteristics and the devices they’re using.